You can’t just follow all of the horse races you come across – you would go bonkers if you tried (trust me, I know). It is much easier and more enjoyable to watch the major events, as it is most likely that you will get to witness some awesome horse-riding action. 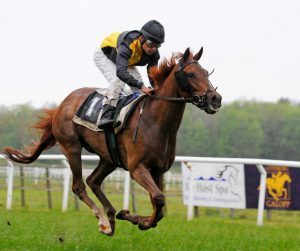 The biggest racing fans can be quite the enthusiasts – they follow all the offers and promotions for the event of interest and make sure they know the scores and the current competitors. Here are a few horse races every equestrian enthusiast should follow closely for the greatest champions in the world. This is, arguably, the most famous racing event in the world. Even if you’re not interested in horse races, it is very likely that you’ve heard of it. This race is the first leg of the US Triple Crown of Thoroughbred Racing. The race is quite short – only two minutes during which over a hundred thousand spectators watch Thoroughbred champions trying to outdo one another in a race that’s just over a mile long. It is held every first Saturday in May. Two weeks after the Kentucky Derby, every third Saturday in May, fans can enjoy the second leg of the Triple Crown – the Preakness State. This race is also over within two minutes, with the record time for finishing the course coming at 1 minute, 53 seconds. The course is dirt and the admission costs about a hundred dollars. So, if you can’t afford it, or you can’t fly to Baltimore, your best bet is to sit by a TV and watch the greatness in motion. The third and final leg of the US Triple Crown is held in Belmont. It is a matter of great honor and success if a horse and rider can win all three crowns, which is to say that they take first place in all three racing events. The most famous horse that ever ran this course is Secretariat, a Thoroughbred who broke the world record. This is also the most affordable event, with spectators having to pay only about $20. The race is held on the second Saturday in June, and the winner walks away with the whopping $1.5 million. This is one of the most challenging races in the world and the greatest in length on this list. It’s about 4 miles long, which means that racers have about 10 minutes to finish the course. 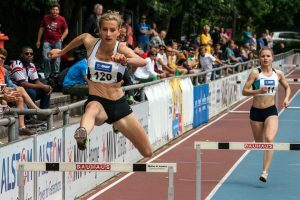 It’s not just a matter of racing, however, as there are 30 obstacles to jump over during this race. You can catch it on BBC every April and the event usually lasts for about three days. Hop on over to France for the magnificent experience of watching one of the biggest racing events in Europe. This event is often referred to as the Arc. The competitors don’t only enjoy the sense of victory, but an amazing prize as well. Should you win, you could walk away with 4 million euros or a little over $4.5 million. The most important racing event in Japan has been around since 1999. This is an event that is easily accessible by the public with relatively affordable tickets since Japan wanted to make this a family-friendly event. Therefore, it is not something enjoyed only by the elite. There are sharp turns, inclines, and declines that give the riders a chance to win about $1.7 million.